Composer and conductor Ronald Corp has written an extensive body of works including cantatas And all the trumpets sounded, Laudamus, Mary's Song, A New Song and The Hound of Heaven as well as works for unaccompanied choir (Dhammapada, Things I didn't say). His instrumental compositions include a symphony, concertos for piano and for cello, three string quartets (number one titled The Bustard) and a clarinet quintet ('Crawhall'). His work for children's voices include the opera The Ice Mountain. Ronald Corp has written over one hundred songs and recent cycles include Fields of the fallen, Dawn on the Somme (settings World War One poetry) and 'Letters from Lony' – a setting of letters from a Jewish grandmother in Amsterdam to her new born grandson in England. Lony is eventually sent to Theresienstadt and perishes in Auschwitz. The cycle has been performed in London, Stralsund and Berlin and like many of his major works has been recorded for CD. He is the founder and Artistic Director of the New London Orchestra and the New London Children’s Choir and also Musical Director of the London Chorus and the Highgate Choral Society. 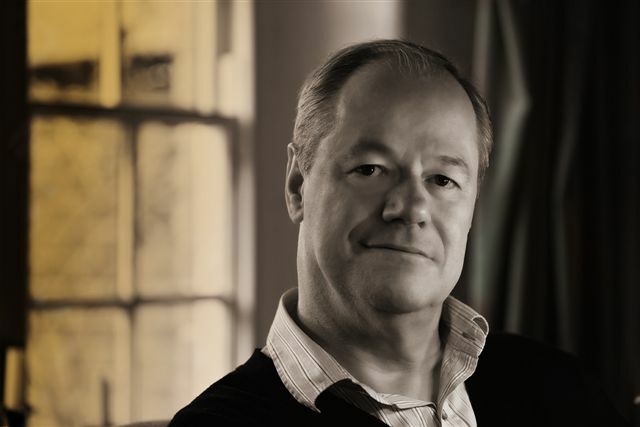 He has worked with the BBC Singers, the BBC Concert Orchestra, BBC Scottish Symphony Orchestra, Royal Scottish National Orchestra and the Cape Philharmonic in South Africa. Among an extensive discography with the NLO are award-winning Hyperion discs of British Light Music Classics and an acclaimed recording of Rutland Boughton’s opera, The Queen of Cornwall. His experience and expertise in choral directing are crystallised in the textbook, The Choral Singer's Companion. Ronald Corp was awarded an OBE in the New Year Honours List 2012 and has been made Honorary Doctor of Music at the Universities of Anglia Ruskin and Hull.